With a huge variety of cookbooks available for every taste and cuisine, the task of deciding on a recipe can seem overwhelming. Our suggestion is to start with the basics. Most of us have a few cookbooks gathering dust on a shelf, so start by picking one that looks good and brushing off the dust. Have a browse to see if anything tickles your fancy and gets those taste buds juicing. If you are looking for some new inspiration, here are some great cookbook titles to refresh your collection. We chose “Delicious. Simply The Best” as it has inspiring yet accessible recipes that are perfect for novice cooks as well as experienced foodies looking for new ideas. A quick meal or extravagant affair? Skip to the right section and pick the recipe with the best pictures. Easy as pie! (yumm…pie) But not for today. 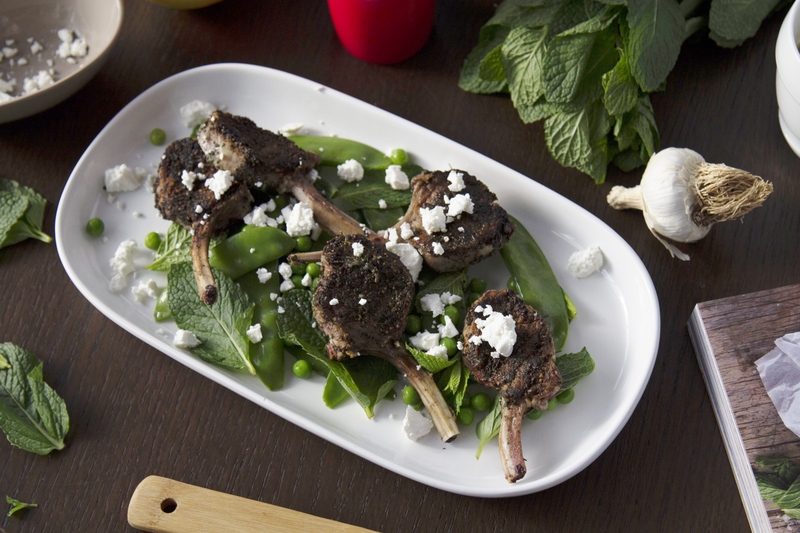 We are salivating at the “Herb-rubbed lamb cutlets with pea & feta salad”. This is the easiest part of the whole process. You are given a list, so go shopping! Make sure to select the freshest ingredients with bright colours. Make sure you choose the best ingredients available – bright, fresh colours are important. A handy tip – it’s best not to enter a supermarket on an empty stomach as inevitably you will end up with a whole trolley of products that were not originally on your shopping list. When you get back to your kitchen, organise yourself by laying out all the ingredients in their correct quantities, so you don’t have to keep going back and forth to the ingredients list. You can just focus on the method and prepare that beautiful dish! The fun part as I like to call it. This is where you can get your hands dirty and delve into the depths of the recipe. But remember – hygiene first. Feel free to experiment with the flavours and add or remove certain (not critical) ingredients depending on your taste. We opted to eliminate the chilli in our dish, but doesn’t it look beautiful? The secret to making your food cookbook worthy is all about the presentation. Decide on a plating style to impress your dinner guests or impress yourself. Our favourites are “rustic” and “modern contemporary”. Raw ingredients make the art. Usually contain a drizzle or swirl of sauce. Choose a plate to suit your style. 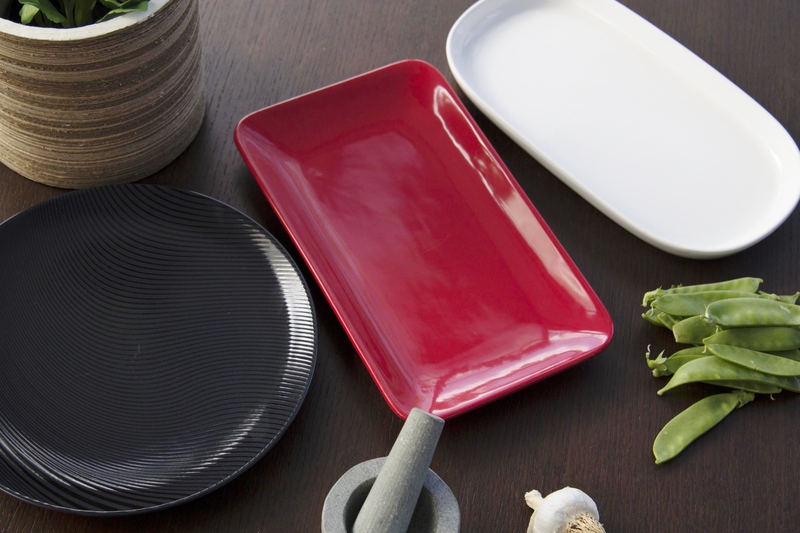 Once you have a style in mind, you can choose a plate that will make your dish pop! Look at your plate as a canvas and use your food to create art. Arranging in odd numbers always looks better than even numbers. Always. Play to all the senses, a feast is not only for your stomach but for your eyes too! 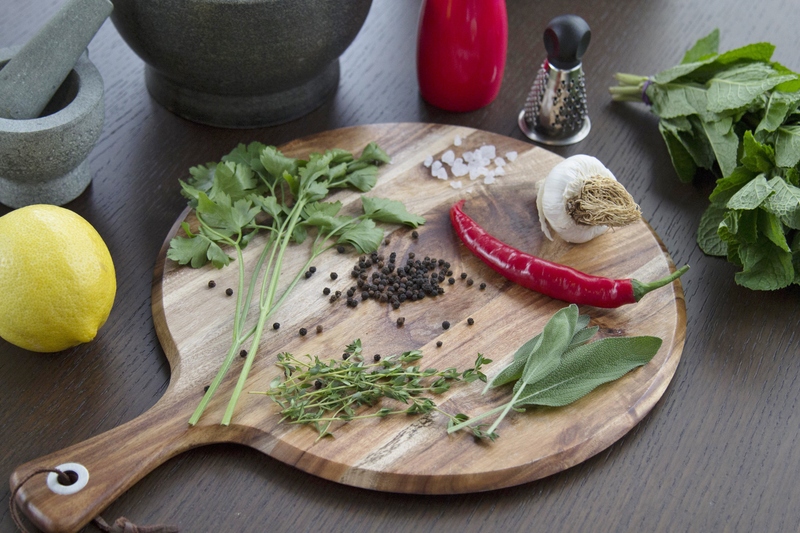 Don’t garnish for the sake of it, the flavours should complement each other. Keep it simple – less is more. Add height, build your dish in layers or look for ways to stand food up. Don’t rush. Take it slow and drizzle or sprinkle carefully. All works of art must be chronicled as they are likely never to be repeated again. Or at least they’ll never be the same again so each attempt must have a pretty snap. Our resident photographers have given us a few suggestions. It’s important to think about the lighting, shadow is good if placed at the right angle. Make the dish your focal point, a little artistic mess in the background will add some colour and life to your photos. Want to see the recipe come to life? Watch the video! Check out these awesome cookbooks for some more mouth watering recipes!